De Novo is a Latin word which means “ new”. 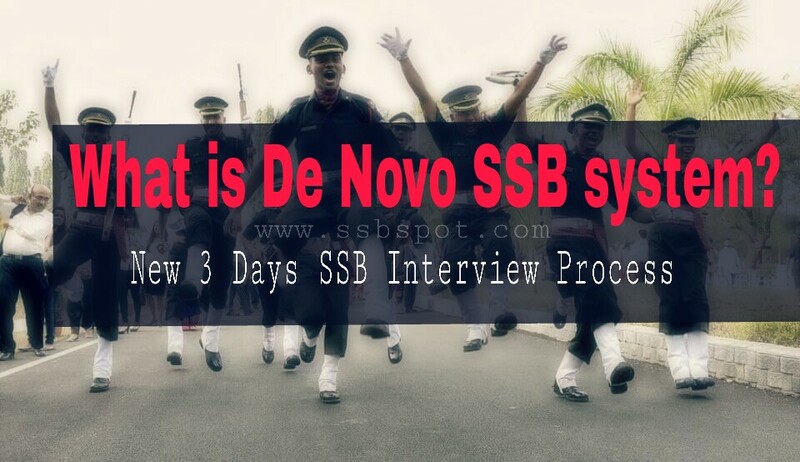 De Novo SSB system has been designed by DRDO - Defence Institute of Psychological Research (DIPR) over five years, will accomplish the SSB testing in three days. The new selection system, once approved, will be implemented from 2019. According to DRDO, testing trials in the first year will focus on the sub-systems while integration checks will be run in the second year. 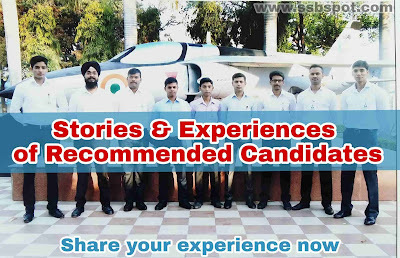 The existing Services Selection Board (SSB),is following a five-day long process for officer selection which includes an interview, group testing and psychological testing of the aspirants since 1948. The Service Selection Board has been changed for the first time after 1948, so it has become very important for you to know about it. You know very well about the Current Service Selection Board with is having 5 days long process including stage 1 (screening) and stage 2 (psychological, GTO,personal interview and conference). Time consuming, wastage of countries time and of candidates. Shortage of officers (deficiency of 9000 officers) in the armed forces. After considerable attempts some candidates are able to clear being fake. It will reduce the time of Service Selection Board to select candidates. More aspirants are likely to go for SSB. Testing as per the current ideologies and technology. It will reduce the deficiency of officers in the armed forces. It will still remain a personality based test rather than a skill based test. De Novo SSB system will accomplish the SSB testing in 03 days. New techniques of behavioral testing will be implemented in this new selection process. This will also make a fair and transparent system by minimizing human subjectivity and reduce long lead time and time taken for SSB and medicals. Also this will make the selection process convenient for the candidates. All the 3 testing techniques will be there with modifications. Note: detailed format will be updated soon.